Maranda is Of Counsel at VanNess Feldman LLP. Maranda focuses her practice on all aspects of Native American law and policy. She is experienced in representing both tribal and non-tribal clients in a wide range of federal regulatory, environmental, energy, and natural resources issues. 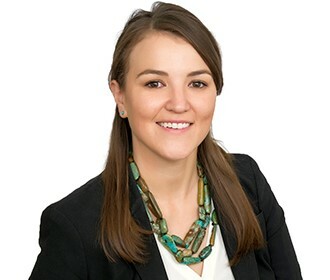 For her clients, Maranda provides a deep understanding of the diverse and complex factors involved in disputes, transactions and regulations involving American Indian tribes. Applying her personal knowledge of Indian Country, she often serves as a valuable liaison between tribal and non-tribal parties, helping clients find favorable outcomes in commercial transactions; project permitting; issues of federal, state and tribal regulation; and environmental regulation. Maranda’s Indian law and tribal expertise is valuable across a wide range of industries. Specifically, Maranda counsels energy clients and project proponents in negotiations and consultation with tribes, where she brings a wealth of knowledge of the federal leasing and right-of-way regulations, tribal versus state jurisdiction, environmental permitting, and tribal employment rights. In the corporate context, Maranda represents tribal and non-tribal businesses and banks in commercial and lending transactions and related areas of federal, state, and tribal regulation. Maranda also represents tribal governmental and economic development entities on various matters relating to tribal regulatory development and code drafting, cultural preservation issues, compliance management and internal investigations, and commercial enterprise operation and financing. And when impassible issues arise, Maranda represents tribal and non-tribal clients in litigation in state, federal and tribal courts, as well as alternative dispute resolution. Prior to joining Van Ness Feldman, Maranda worked for a large international law firm in their Denver, Colorado office. 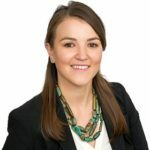 Maranda also served as a law clerk to Justice Allison H. Eid of the Supreme Court of Colorado (now of the U.S. Court of Appeals for the Tenth Circuit) and clerked for the Native American Rights Fund while in law school. Ms. Compton earned a J.D. (2009) University of Denver, Sturm College of Law and a B.A., Phi Beta Kappa, (2004) College of the Holy Cross. Maranda is an enrolled member of the Delaware Tribe of Indians.